Posted on Sun, Mar 4, 2012 : 4:04 p.m. 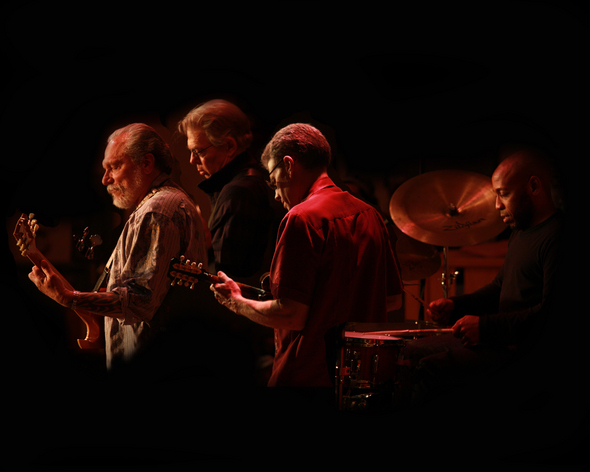 Hot Tuna plays Tuesday at the Ark in downtown Ann Arbor. Get garden-ready at the "Annual Herb Seed Giveaway and Growing Herbs from Seeds" at Matthaei Botanical Gardens on Monday. 7 p.m. Get free herb seed packets and information on growing herbs. Sponsored by the Herb Study Group. Free. Matthaei is at 1800 N. Dixboro Road, Ann Arbor. 734-647-7600. "Martin Bandyke's Moving Pictures" series continues at the Michigan Theater on Monday. 7 p.m. This week, see the Rolling Stones concert documentary, "Gimme Shelter," which culminates in a fan getting stabbed. Bandyke has curated a selection of music-oriented films that will run every Monday through April 30. $10/ general admission; $8/ students, seniors and children under 12. The Michigan is at 603 E. Liberty St., Ann Arbor. 734-668-8397. See Jefferson Airplane's blues-roots offshoot, Hot Tuna, at the Ark on Tuesday. 8 p.m. probably no one has more consistently led American music for the last 50 years than Jorma Kaukonen and Jack Casady, the founders and continuing core members of the group. $35. The Ark is at 316 S. Main St., Ann Arbor. 734-761-1800. The Penny Stamps Lecture Series will host Matthew Carter and Roger Black at the Michigan Theater on Thursday. 5:10 p.m. Black has designed or redesigned large publications like Rolling Stone and The New York Times Magazine. Carter is a master type designer who has pursued typographic solutions for the rapidly changing landscape of text-based communications. Free. The Michigan is at 603 E. Liberty St., Ann Arbor. 734-668-8397.